Microsoft Takes Apple's Side, Says HTML5 is the "The Future of the Web"
With all of the news surrounding Apple and Adobe’s war over Flash vs. HTML5, it seems as if Microsoft is, not so surprisingly, taking Apple’s side. While it all started a while back, this week we witnessed Steve Job’s posting a 3500 word open letter stating his “thoughts on Flash”, which turned out to be viewed as more of an attack on Adobe than anything else. Shortly after we got our hands on a video of the Wall Street Journal interviewing Adobe CEO Shantanu Narayen to get his response to Jobs. The latest update in where the industry leaders stand on HTML5 comes from a post on the IEBlog from general manager of Microsoft’s Internet Explorer team, Dean Hachamovitch. 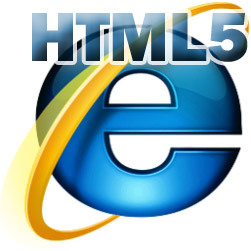 In the past, Hachamovitch outlines Microsoft’s and, more specifically, Internet Explorer’s take on HTML5. While he certainly doesn’t attack Adobe as much as Steve Jobs stating that “We work closely with engineers at Adobe, sharing information about the issues we know of in ongoing technical discussions”, he does note that “The future of the web is HTML5”. Below are some snippets from the post. You can read the full post here from the IEBlog.